Now that you have downloaded the Movable Type plugin you need to install it. 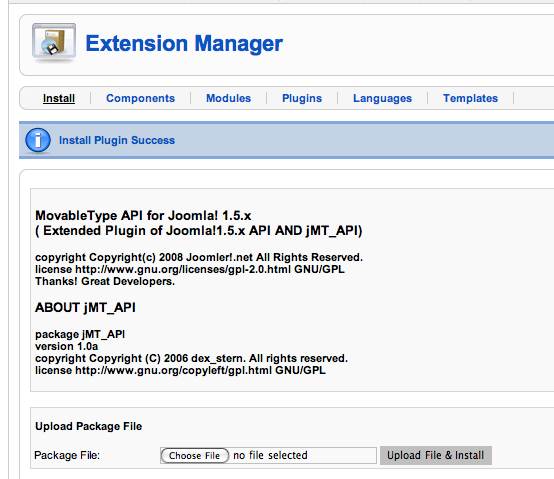 Choose the Extensions > Install/Uninstall menu item to navigate to the plugin installation screen. Select the plg-xmlrpc-movabletype-2-3-3.tar file that you downloaded. Next click the Upload File & Install button. If all goes well you should see the Install Plugin Success message along with some details about the plugin.